AN EVENING OF EDGAR ALLAN POE: Price And Poe In Concentrated Form – Schlockmania! 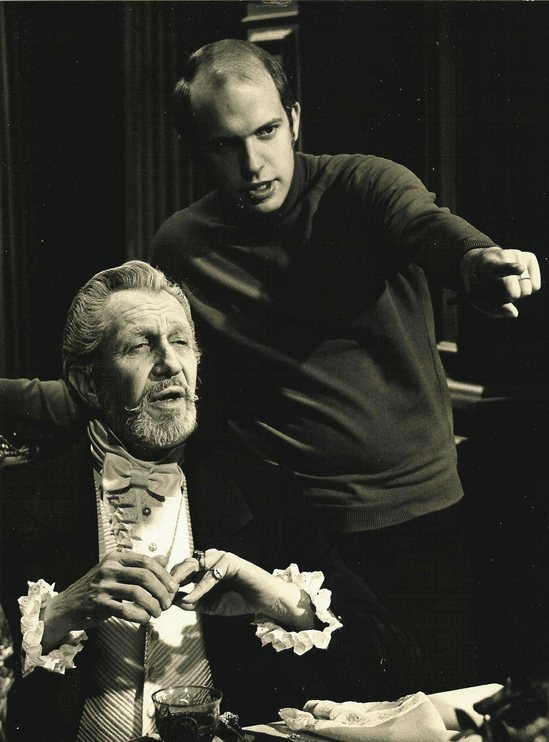 The stories of Edgar Allan Poe were good to Vincent Price’s career. His string of Poe-derived vehicles for American International Pictures were drive-in and television perennials from the 60’s well into the ’70s and ensured his status as one of the great celluloid faces of the horror genre. 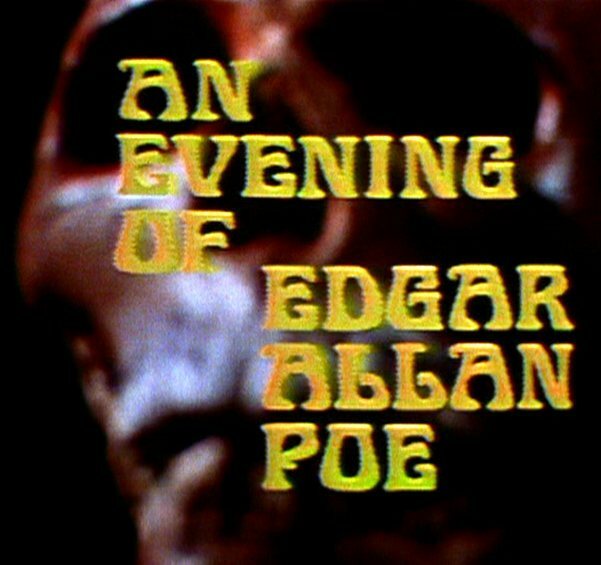 However, his purest interpretation of Poe’s work didn’t come from these movies – instead, it appeared in an A.I.P.-produced television special called An Evening Of Edgar Allan Poe. The concept is as minimalist as it gets: Price appears in full costume and makeup on a series of four different sets as he does dramatic readings of four Poe stories: “The Tell-Tale Heart,” “The Sphinx, “The Cask Of Amontillado” and “The Pit And The Pendulum.” There are no attempts to extend the stories into t.v. or film-length narratives: it’s just the original tales, slightly abridged but taken directly from the original text. And it works like a dream, a beautifully dark dream. An Evening Of Edgar Allan Poe is a success for two reasons. The first is Price himself. Like a lot of horror stars his age, he had stage training and the material and setting allow him to draw on his full theatrical powers. The melodrama and frequent flashes of dark humor inherent in these Poe sto ries are ideally suited to Price’s thespian skills and he wrings each tale for all the dark magic it can offer. His work on “The Tell-Tale Heart” and “The Pit And The Pendulum” is particularly vivid, using just his expressiveness with voice and facial expression to conjure an array of grim moods and imagery. The other reason is the inspired handling of director/co-adaptor Kenneth Johnson. Shooting on video in a multi-camera style, Johnson uses his editing scheme, shifts in closeness of angle and periodic camera moves to follow the shifts in energy of Price’s performances. His visuals are bold when they need to underline a particular acting flourish but otherwise exist to support Price’s theatrical fireworks. Johnson would go on to a long career in genre television via shows like The Bionic Woman, The Incredible Hulk and V and this production represents the seed from which that career grew. Simply put, An Evening Of Edgar Allan Poe is a must-watch for fans of the author and Price. It offers a concentrated dose of their complimentary skills that shows off each artist at their purest.